We are a leading manufacturer and supplier of Rotocone Vacuum Dryer. Rotocone vacuum dryer is suitable for drying of materials which cannot resist high temperature, materials which are easily oxidized, volatile materials which should be retrieved and materials which are strongly irritant in nature. With improved technology, rotocone vacuum dryer integrates during operation under vacuum and achieves optimum dust control. We take this opportunity to introduce ourselves as one of the leading manufacturer and supplier of Chemical Process Products, Ajay Engineering is established in 2007. situated in the western Mumbai. 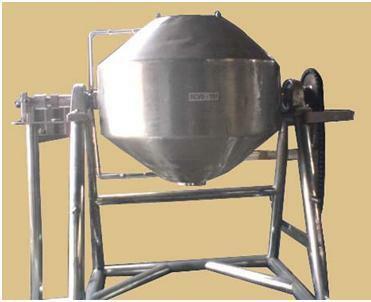 Our product range complies of Process Reactor, Vacuum Dryer and Chemical Plants etc. We have a state-of-the-art manufacturing and fabrication set up at Vasai East (Mumbai). Our strength is the stringent quality of our products controlled by highly skilled workers. For site execution, we have our team of skilled technicians to undertake quality jobs at targeted schedule under observation of your engineering department in regard of Drawing approval, Material Approval & Final Inspection. We request you to kindly extend your valuable engineered views for our products and also request you to approve our products & services in your esteemed organization. If given an opportunity to serve your organization, we assure you of the quality of our products & services will prove to be a satisfactory amalgamation between our organizations. We now request you and look forward for your valuable inquiries for the forthcoming projects.